Travelling alone, internationally acclaimed photographer and film-maker Raymond Depardon spent six years capturing his home country with a large format camera. This long, solitary road trip provided fertile ground for the creation - with his long-time partner and collaborator Cla... read full description below. Travelling alone, internationally acclaimed photographer and film-maker Raymond Depardon spent six years capturing his home country with a large format camera. This long, solitary road trip provided fertile ground for the creation - with his long-time partner and collaborator Claudine Nougaret - of an extraordinary travel journal. 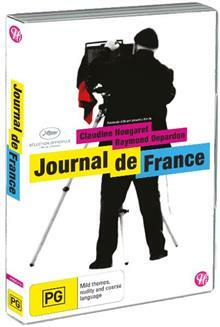 Intimate, compelling, revelatory, JOURNAL DE FRANCE offers a unique portrait of France.